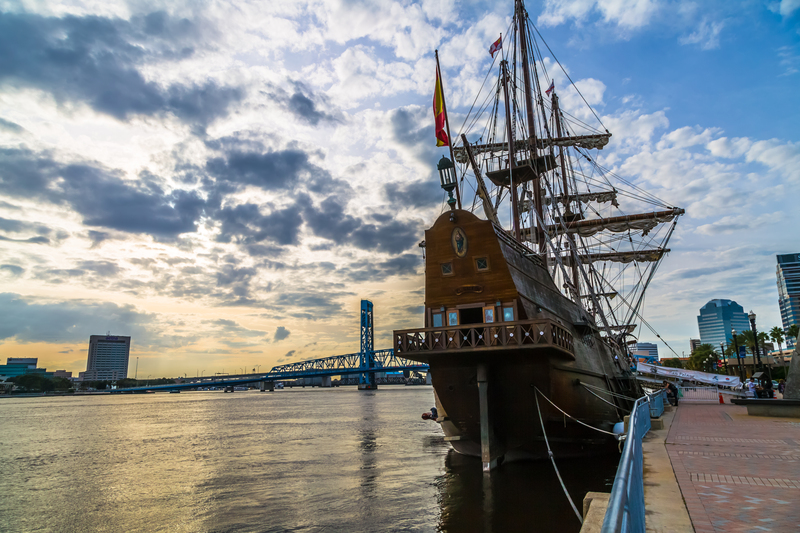 The Spanish tall ship, El Galeón, docked in downtown Jacksonville today as part of the celebration of the 500th anniversary of the discovery of Florida by Spanish explorers. 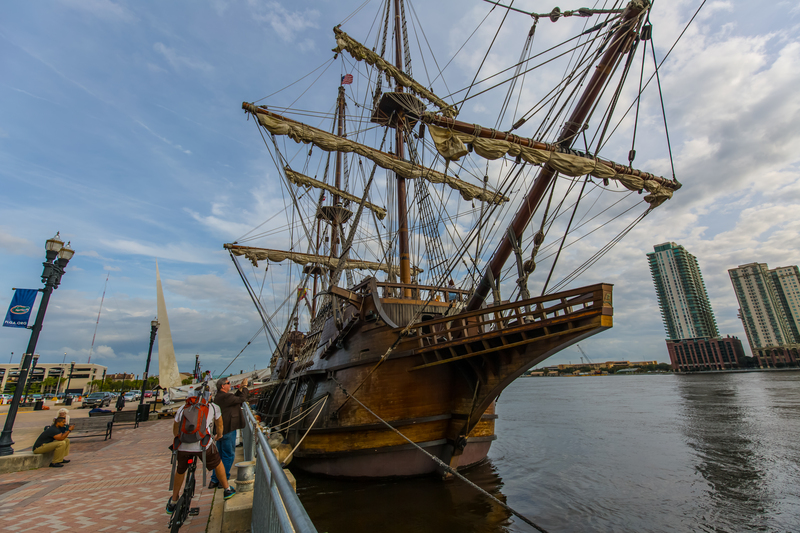 The exact replica of a 16th century sailing galleon navigated the St. John’s River and pulled up in front of the Hyatt Hotel. 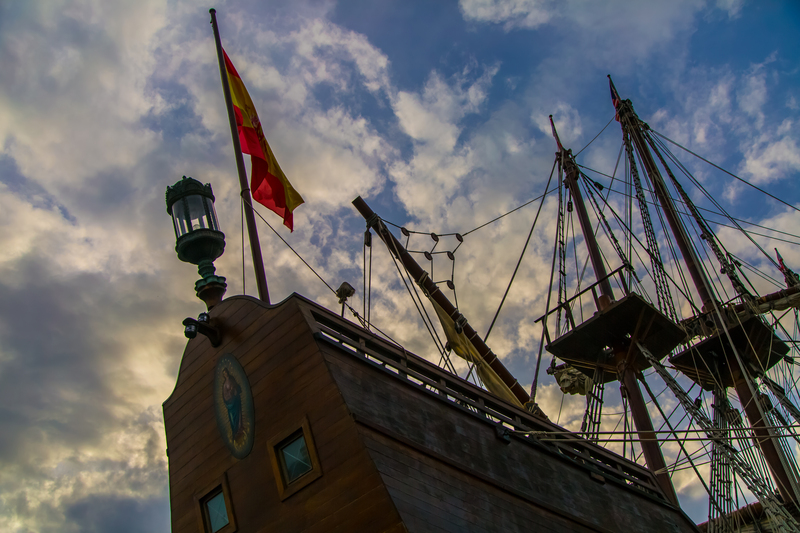 The ship is open to public tours and wannabe sailors can scamper about the decks, peer into hidden nooks and crannies, and talk to the nice crew members who sailed over from Spain. 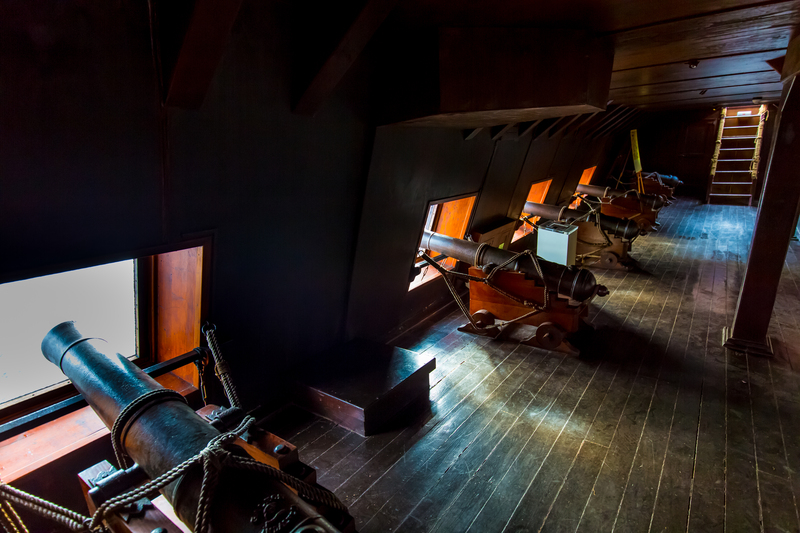 Below decks, on the low sung gun deck, show the cramped quarters sailors of the 16th century lived and worked on to be able to safely sail the dangerous waters of the Spanish Main and hopefully beat off the like of Sir Francis Drake. 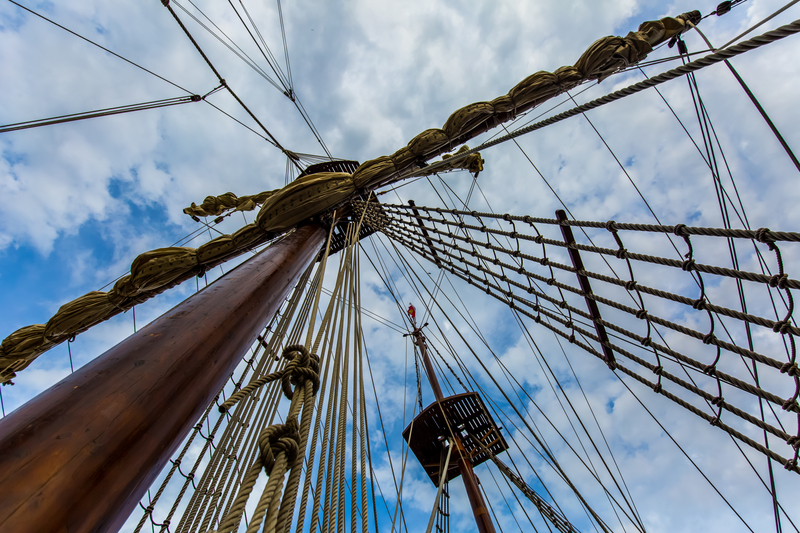 It’s a great looking ship and supposedly an exact replica but Kongo did spy some electric lights and some electronic navigation equipment that he’s pretty sure were not available to the sailors of the original galleons. Not to be picky. Overall it was very authentic. If you get a chance to climb aboard this vessel, the monkey hopes you take it. What a ship, Kongo. I hope you didn’t bounce around too much until the boat shook around. 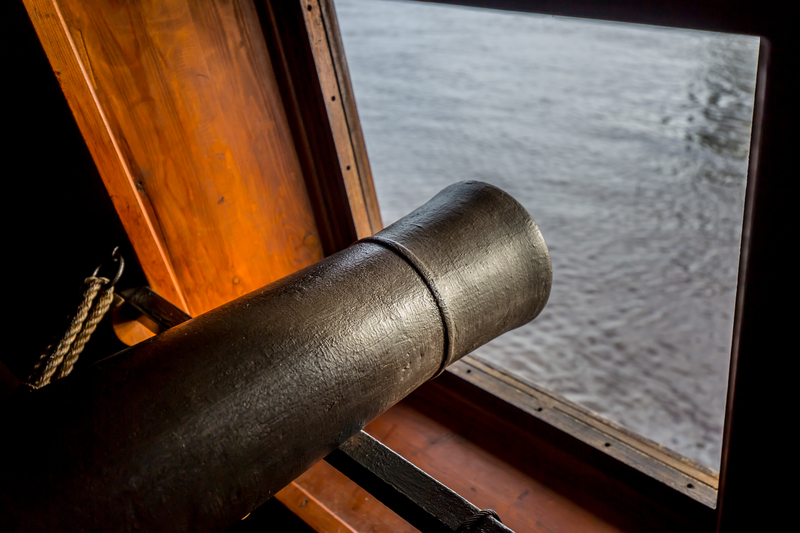 And you didn’t climb into the canons and stuck your head out 😉 Beautiful ship, in such good condition too. And what a gorgeous backdrop of a sky. Great photos! Brilliant clarity. Guess the monkey has good camera gear. Thanks, Gwen. Here’s a photo tip…take the lens cap off. Makes for a clearer picture!